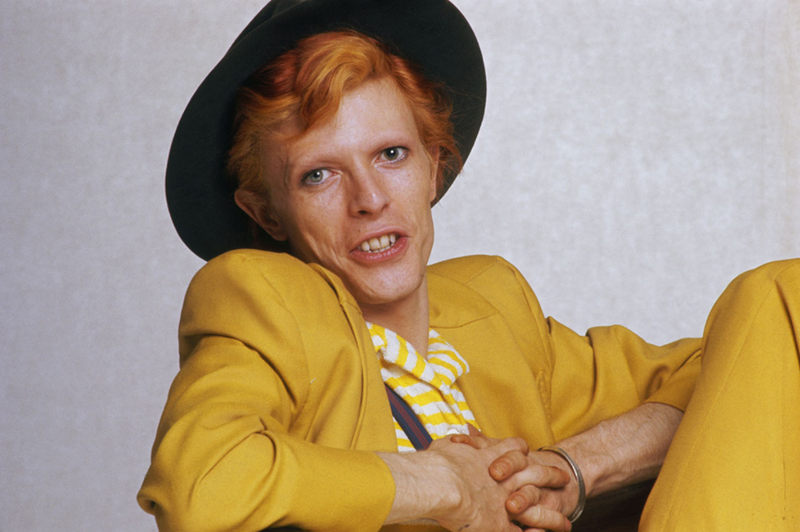 1974 was a year of change for David Bowie. 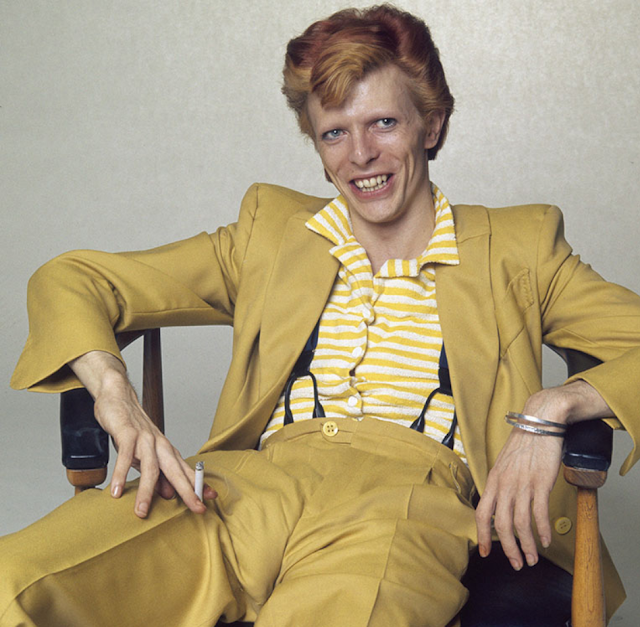 He left London and retired his futuristic costumes and the alter ego that propelled him to fame, Ziggy Stardust. That year, while on tour for the promotion of Diamond Dogs, Bowie sat for the documentary photographer Terry O’Neill in Los Angeles. 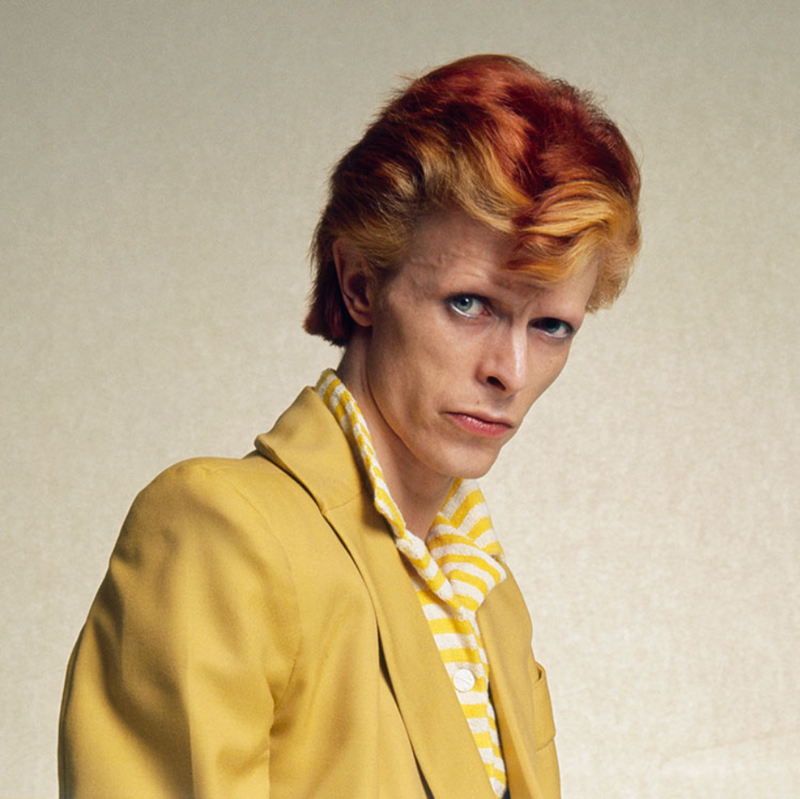 The assignment was for a magazine and Bowie styled himself. 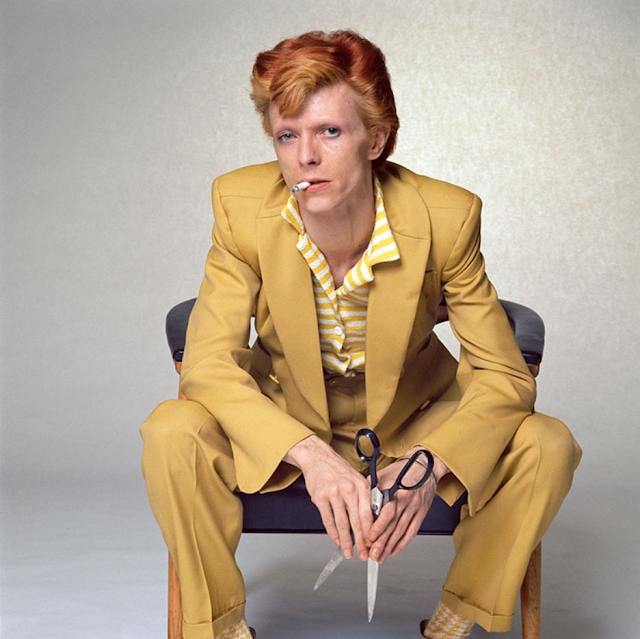 Terry O'Neill came to prominence in the 1960s with the new generation of photographers – including David Bailey and Brian Duffy – who rejected the static formality of the posed photographs of the 1950s and went instead for spontaneity and unusual settings. 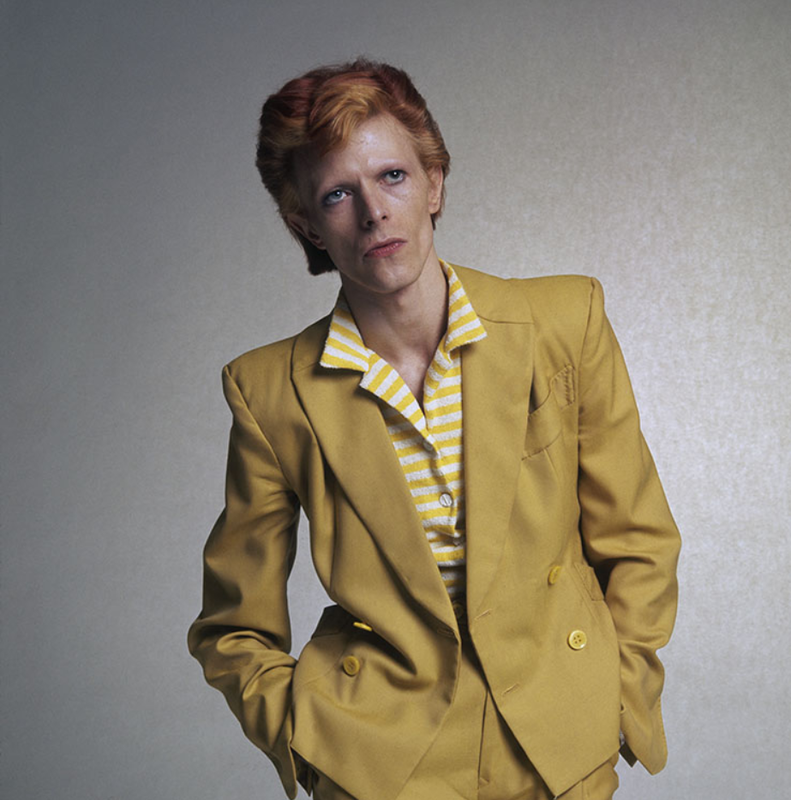 O'Neill worked with Bowie a number of times creating some of the most striking images of him, in particular the photo shoots around the Diamond Dogs album and tour.